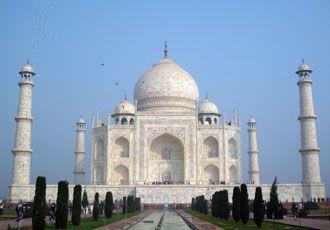 The star of the show in Agra is of course, the Taj Mahal, undoubtedly one of the greatest monuments of all time. It was built as a mausoleum by the fifth Mughal Emperor, in memory of his beloved wife. 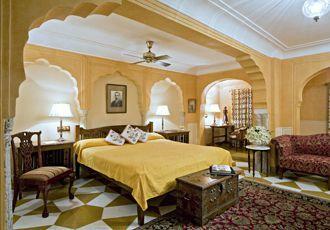 The Taj stands in a formally laid-out walled garden; you will first see it reflected in the central canal. The whole building features a virtuoso display of carved marble and wonderful designs created with inset semi-precious stones. After a busy schedule of sightseeing or trekking in India, spend some time in tropical southern India. Kovalam is internationally renowned for its three adjacent crescent beaches - Hawa Beach, Lighthouse Beach and Samudra Beach. 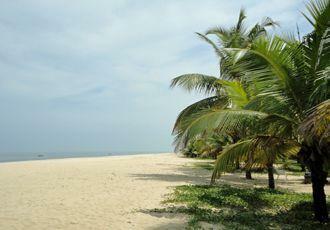 The beautiful bay is fringed with coconut palms and the calm waters are perfect for bathing. There's a large range of accommodation to choose from, and Ayurvedic treatments are available – or simply relax on one of the idyllic beaches! Take an elephant-back safari in Kaziranga National Park, located in the flood plains of the Brahmaputra River. 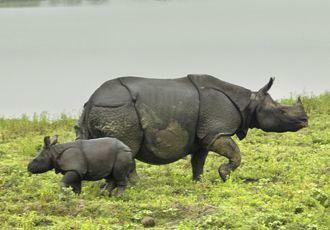 The most prized inhabitant of Kaziranga is the Greater One-Horned Indian Rhinoceros, but the park is home to as many as 180 different mammals and a rich variety of birds. A cooking demonstration can be arranged for you, or have a go yourself at creating some of the delicious southern Indian cuisine. Most of the ingredients are local and freshly prepared for you at the Aranyakam Plantation, a homestay surrounded by coffee and other spice plantations. 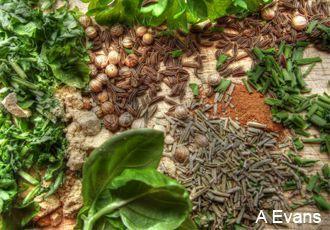 Your guide can help you shop for some of the ingredients at the market. This super luxury camp, set at the foot of enchanting Thiksey Monastery, is only operational during the summer months and offers an alluring combination of old world charm and contemporary luxury. 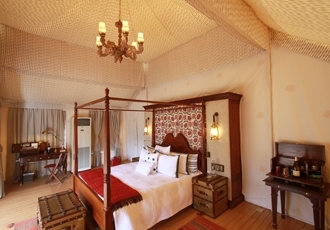 Elegant canvas tents come with en-suite bathrooms, the finest linen, private decks and a personal butler! There are a range of activities on offer including monastery visits, gentle village walks and bike rides, morning prayers with the Thiksey monks, croquet, archery and culinary classes. There are various packages available but we recommend at least a five-night stay to allow ample time to both relax in camp, and also explore the local sights, immersing yourself in Ladakhi culture. One of the highlights of a holiday to India is the variety of accommodation, in particular the wonderful selection of heritage hotels. You can relive the days of the Raj in a converted palace in Rajasthan; a tea estate bungalow in Kerala or the quirky Mrs Bandhari's guesthouse in Amritsar. Ask our Destination Experts and they will recommend the perfect one for you. Spend a week cruising along the Brahmaputra River in the shadow of the eastern Himalaya. Stay aboard one of the most luxurious and up-to-date cruise boats on the Brahmaputra River – the MV Mahabaahu, and make regular shore visits to the key sights of this culturally rich area including the Kaziranga National Park.Each air conditioned cabin has satellite TV, personal safe, mini bar and a spacious bathroom. Facilities on board include a library, swimming pool and spa, and sun deck. Cruising takes place between 6.00am and 7.00pm to take full advantage of the spectacular views the river has to offer. Take an excursion (called by the Indians a ‘joy ride’!) on the ‘Toy Train’ to Goom. 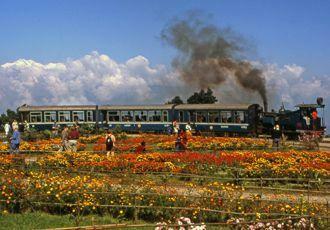 The narrow gauge railway has been operating since 1881. The steam train chugs its way out of Darjeeling, stopping at the Batasia Loop for passengers to get down to take photos of the train and of the mountains, before returning to Darjeeling. 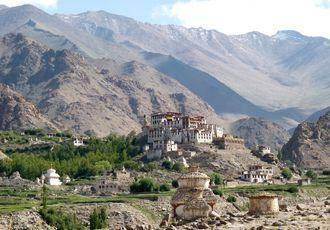 Ladakh is one of the few areas of the Himalaya best trekked in the summer months. 'Little Tibet's' landscape of crumbling monasteries and ancient palaces set against a backdrop of mountains, deep gorges and twisted rock formations provides ample walking opportunities. Whether you are looking for an exciting long distance trek, or a gentle amble, we can design the perfect walking holiday for you. Join in with the merriment and be mesmerised by the colourful costumed dances. Festivals are a highlight of the year. They provide the excuse to dress up, socialise, have fun and, at the same time earn, religious merit. 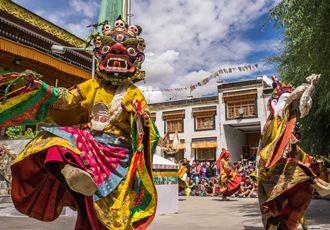 The Sacred Dance Dramas or ‘Chhams’ are at the centre of the celebrations where monks in incredible costumes perform elaborate highly choreographed dances to an accompaniment of drums, cymbals and horns. Take a guided tour of the Amber Fort - one of India's most impressive palace/fortresses - in Jaipur, Rajasthan. 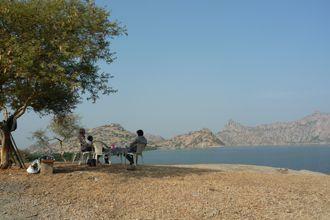 Enjoy great views of the beautiful lake below and the Aravalli hills beyond. Perfect for a romantic honeymoon or anniversary, we can arrange for you to take your candlelit evening meal overlooking the beautiful lake at Jawai Band, Rajasthan. Watch the sunset as you sip cocktails and indulge in a delicious freshly cooked meal.